Sony's neat XDR-M1 DAB radio also manages to cram in an FM radio too, so you get the best of both worlds, which is useful if you happen to be outside a DAB broadcast area. Its shiny black casing manages to make the XDR-M1 one of the sexiest looking models in this roundup, and it's also among one of the smallest. The large sliver-coloured buttons and central cursor control provide easy navigation of radio stations and it's easy to switch between DAB and FM broadcasts. The LCD display is inverse, meaning it's white text on a black background, and is difficult to read in bright daylight, which is annoying when you're out and about, and a considerable oversight for a portable model. Whilst it displays all DAB information like station name, title track and artist name, for example, it's not nearly as informative when it come to FM radio stations. Unlike the Alba DAB radio (reviewed on p78), its not an RDS tuner and there's no text data with FM broadcasts. You can manually name any FM stations stored in one of the 20 FM station presets using the character menu, but this is rather a tedious process. The supplied in-ear headphones incorporate a useful in-line remote control, allowing you to skip through presets, retune stations and adjust the volume level without having to fumble around in your pocket or bag. The headphone cable also acts as the radio's antenna, but the Sony is prone to signal breakup in poor reception areas, and struggles with low signal levels on both DAB and FM broadcasts. 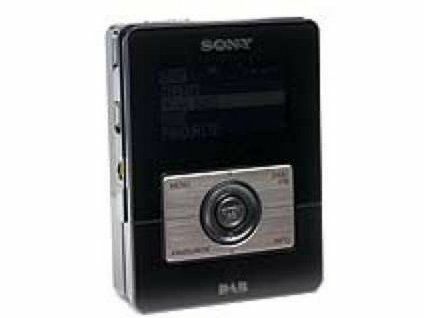 But with strong signals the Sony sings and has a full, easy-to-listen-to sound. There's a mega bass mode if you want to beef up the sonics further, but it's really not necessary as the Sony headphones have an even frequency response, and sound good with just about any radio station you care to tune to. So, the Sony has great sound and a decent set of features but it has the potential to be even better. Its dual FM and DAB capability is appealing, but the lack of RDS tuning with FM broadcasts is an oversight, as is the dimly lit display. But if you can live with these minor criticisms and stomach the higher price then the XDR-M1 is one of the most attractive personal radio models around.